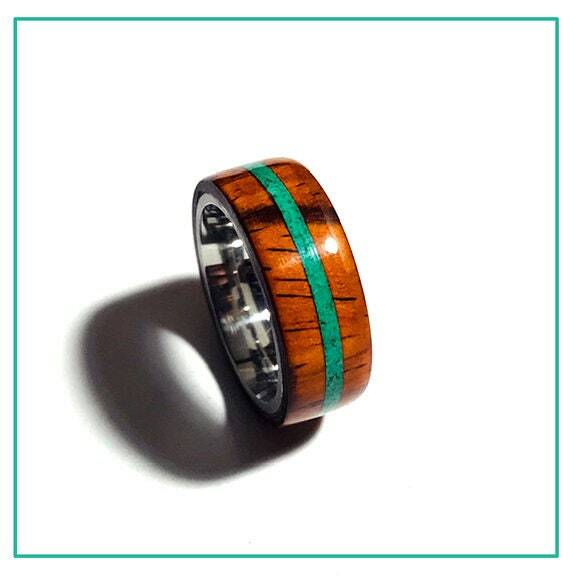 This ring is handmade from a solid piece of exotic Cocobolo wood with a natural crushed Malachite stone and stainless steel core. This is an 8mm band with good weight and comfortable fit. 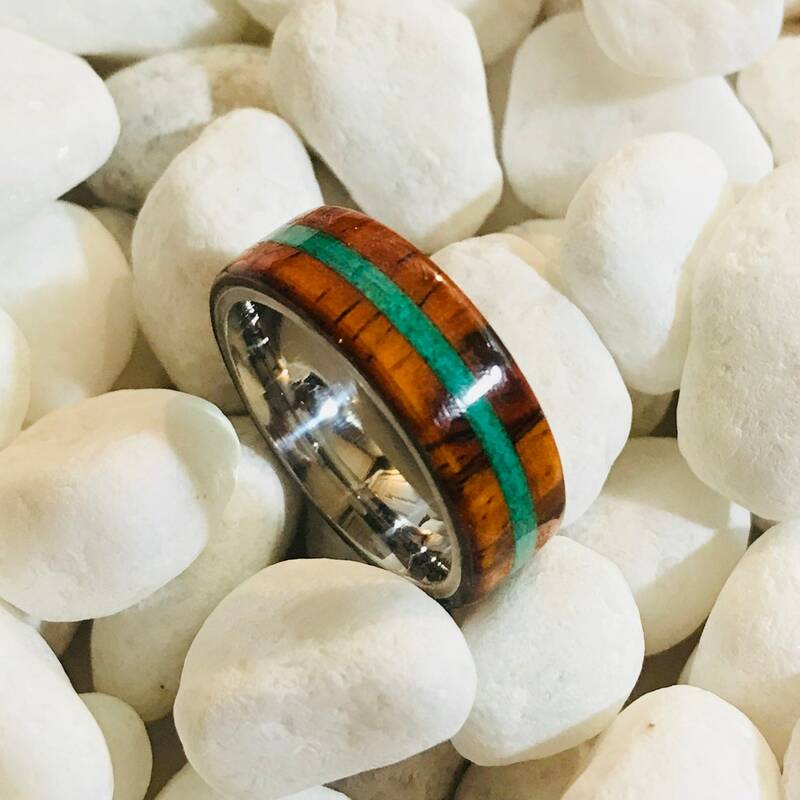 Each ring is custom handmade from a solid piece of exotic Cocobolo wood and milled to your ring size using a jeweler's mandrill. The wood is then shaped and polished. This ring will be made to order in your size, if you would like any other customization or general questions/suggestion feel free to send me a message!